Happy Saturday everyone! I hope you’ve got a relaxing weekend planned. It has started to really get cold here and I’m spending my day pulling some outfits together for the week ahead. I needed a little inspiration material for styling and I thought maybe some of my readers might enjoy this too. 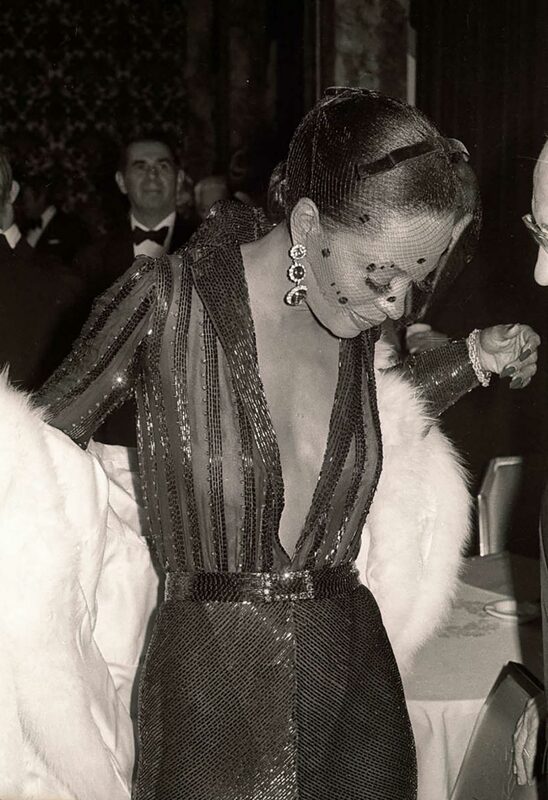 Here are 25 great looks from years gone by to get inspired by! 1. Moto jackets can look a little 2005, unless you style them just right. 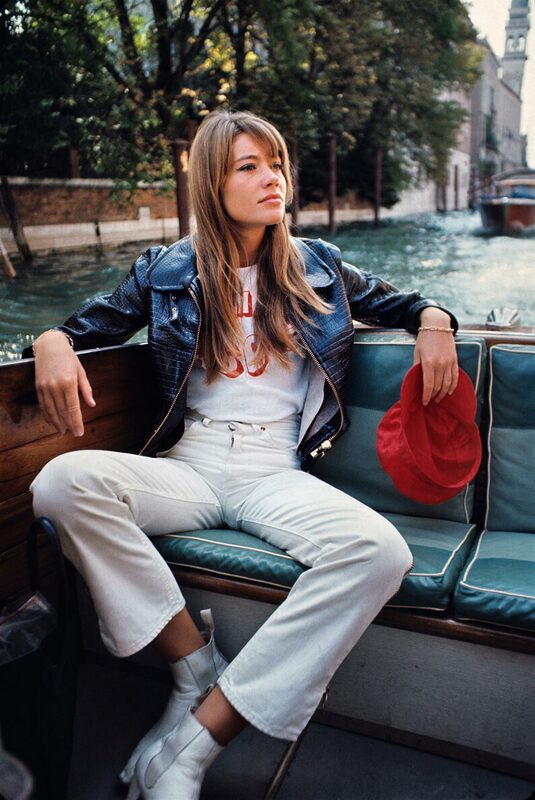 There is no way your leather jacket won’t look cool with white cropped flares and white Beatle boots. 2. Who wouldn’t look adorable in a classic trench, jaunty red beret, black tights and matching red heels? It’s a perfect date night look. 3. Why not take a cue from Jane and style a white dolly blouse under a scoop neck navy sweater? All the better if you pair with thigh high boots. 4. 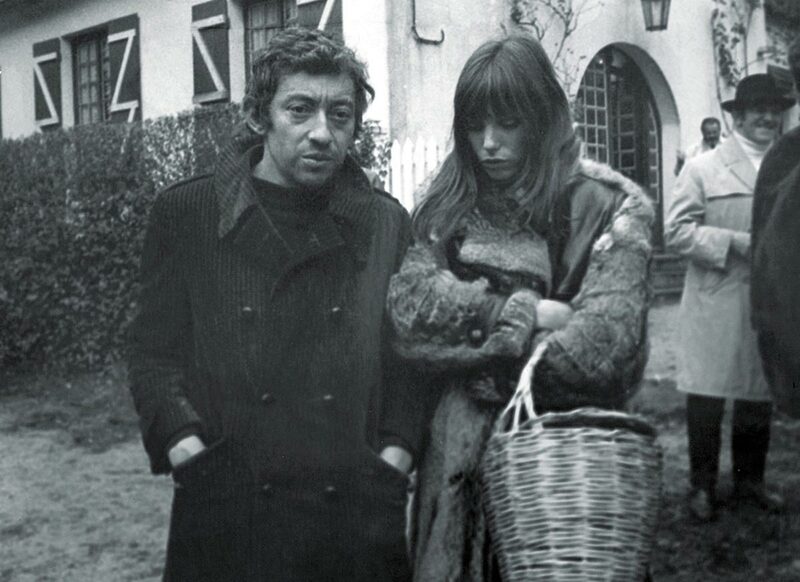 A (faux) fur peacoat with a basket bag keeps things interesting. 5. 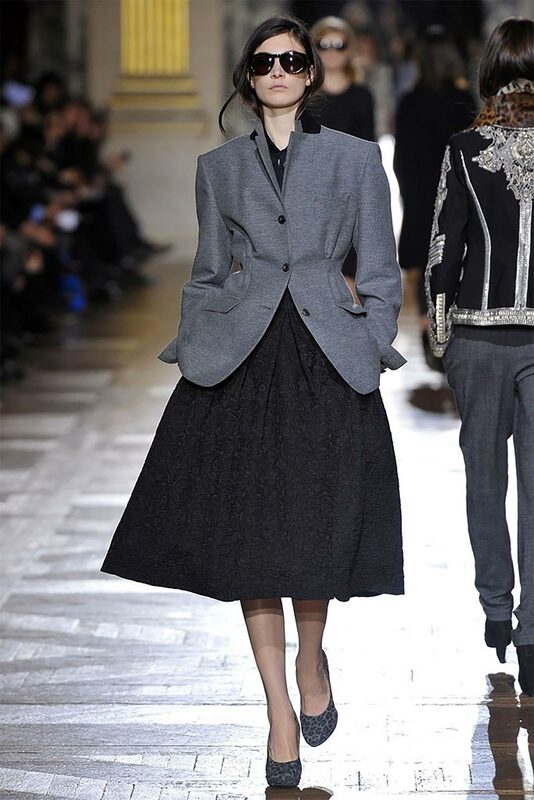 This look is from Dries Van Noten’s fall 2010 show, so it is not vintage but it is a great mishmash of nostalgic feminine sillouhettes, like a modern New Look. This look is one of the reasons why every girl needs a big swishy black skirt in her life. 6. Photo by Gene Spatz. Speaking of holiday parties, if you’re the dramatic type you might look into a deep v sheer embellished dress this season. 7. Photo by Henry Clarke. For the glamour girl in need of a weekend look make like Leslie Caron: knee high boots with a check mini skirt, a ribbed sweater, and hoop earrings. 8. Sade in the best ever idea for an airport outfit: a preppy printed cardigan over a button up, classic Levi’s, and loafers with no socks. 9. Ashley Olsen’s look is definitely not vintage but it fills me with early 00’s nostalgia. Ksubi jeans? Check. Bedraggled Balenciaga bag? Check. Coin embellished hip slung belt? Check!! This look still works for me and I love the stovepipe jeans tucked into Alaia ankle boots. 10. Though no one is going to look quite as adorable as Diana Ross in this outfit, it is a brilliant way to style a midi skirt: add a gauzy bohemian blouse and lace up boots. 11. 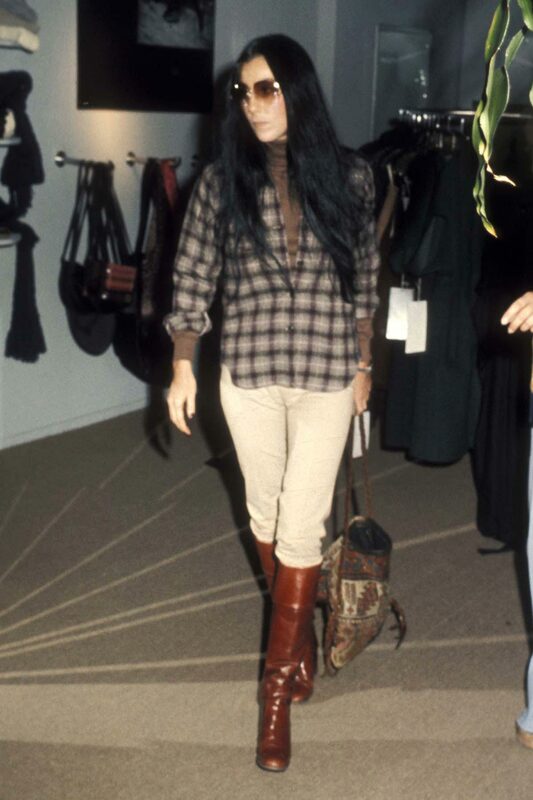 I love Cher’s casual looks. I am totally copying this by wearing a turtleneck under a flannel tucked into preppy cognac knee boots. 12. 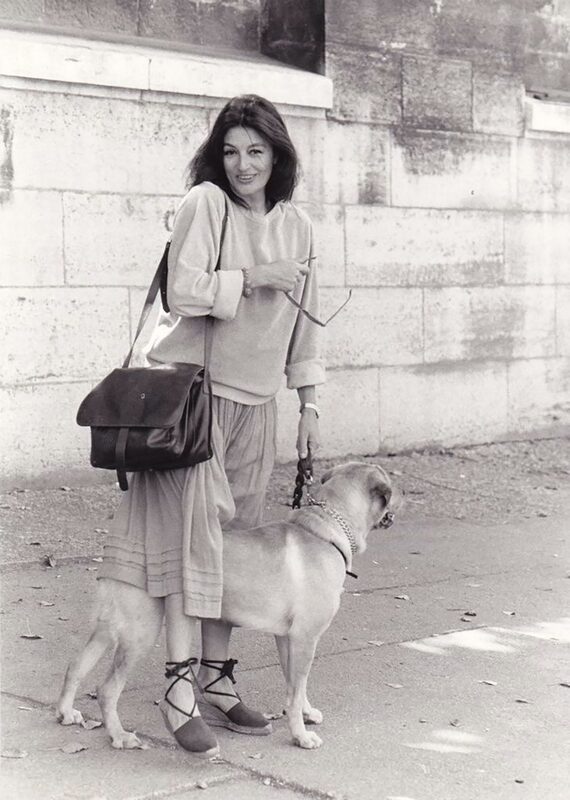 Anouck Aimee in the cutest dog walking outfit ever: a sloppy sweatshirt, breezy skirt, and espadrilles. Even better with an oversized messenger bag. 13. This look from Prada’s Spring 2001 maybe looks better now than it did then. Nothing easier to style than a prim grey skirt and belly skimming black sweater. 14. 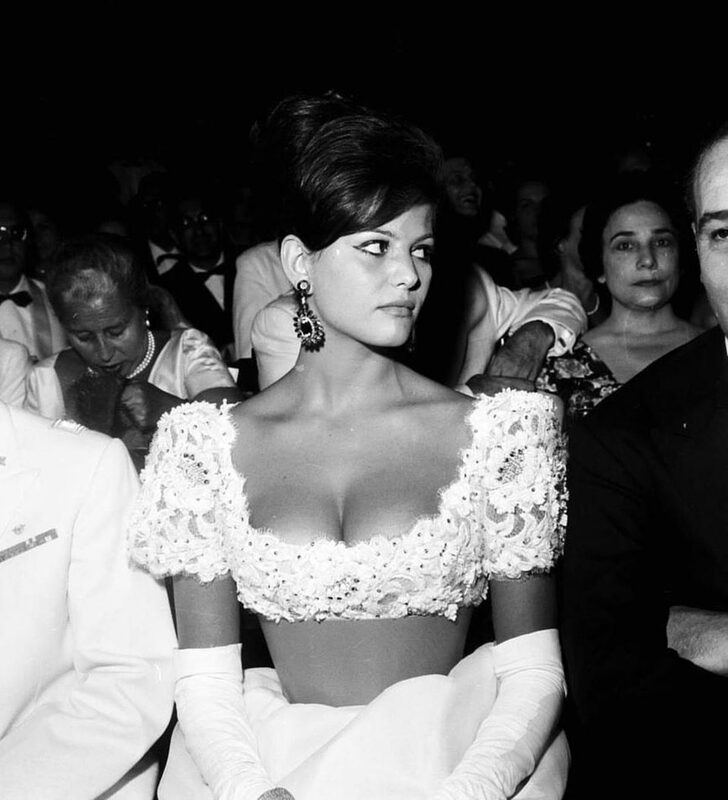 Claudia Cardinale making a case for the evening crop top. 15. Leopard coats and black tights never fail, as demonstrated here by Twiggy. Go full mod with a Mary Jane shoe. 16. Grocery run? Try bike shorts, an oversized sweatshirt, and dad sneakers a la Princess Di. But please do not forget the headband! 17. This shot by Steven Meisel in 1992 Vogue Italia shows that a trench, white tee, mom jeans and loafers look as good in 2018 as they did in ’92. 18. I’m pocketing this head-to-toe red idea from Pat Cleveland and saving it for a holiday party. Subtlety is overrated anyway. 19. Red gingham pants with metallic strappy heels are a great idea for some 90s glamour. 20. Linda and Christy demonstrate that the 90s-schoolgirl-gone-bad look is still fresh. Kilts are actually a highly versatile wardrobe staple. 21. Ice blue satin pants and a satin spaghetti strap top scream 90s bad girl. Try it for your next night out. 22. 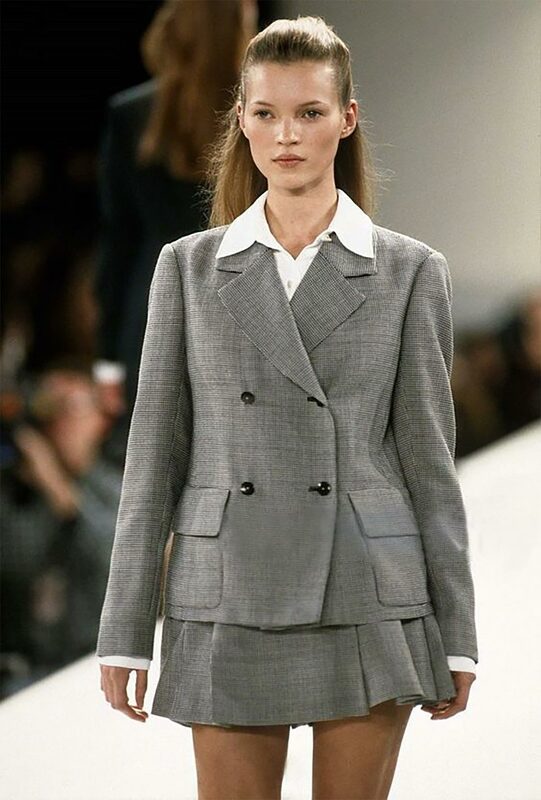 This picture of Kate Moss walking the 1993 Isaac Mizrahi runway makes me so very glad that two piece suits have made their comeback. 23. 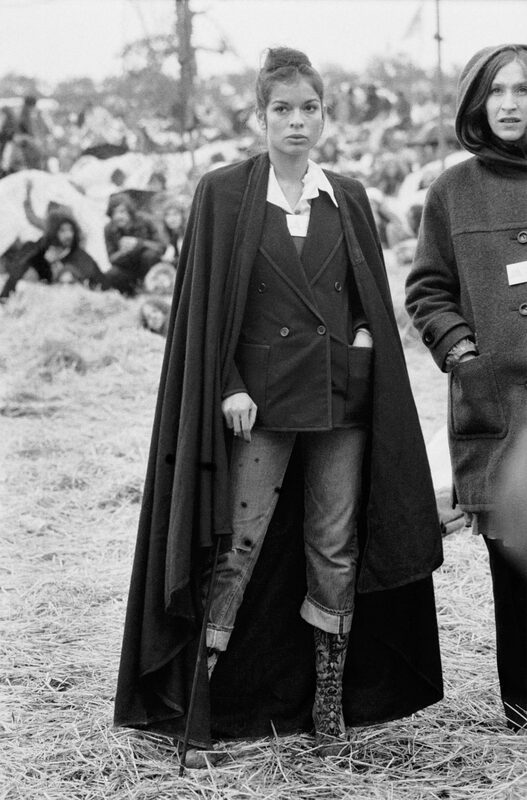 I’ve obsessed over this Bianca Jagger outfit for years. Double breasted navy coat over vintage jeans and python boots, that is how they did festival style back then! 24. More early 00’s nostalgia from Kate Moss. I need these stripey wool micro shorts in my life! 25. Chloe Sevigny in a preppy look from the 00’s: pale high waisted denim, a chambray shirt, and a cardigan worn over the shoulders. This is so great! It reminds me of my friend’s blog called Vintage Visions! You should check out their post on vintage visionaries because she has some really great tips! Great fashion sense. These styles are as comfortable as stylish. It is a great article to know about. Just loved it. This is the perfect casual but stylish outfit! I could totally imagine going on a coffee run in this! Last day i saw an outfits ideas with Flight Jackets and today your’s, both makes my day . Thank you so much for all.